Spring is just around the corner, and with it are great holidays that give us an excuse to go to brunch. Whether it’s Easter, Mother’s Day, or just a weekend morning you’re celebrating, brunch is a great meal for celebration. We see a lot of brunches here at Kurman, so here are some of our favorite choices. Celebrate early and take a trip around the Chicago French Market (131 N Clinton, 312-575-0306) March 31! 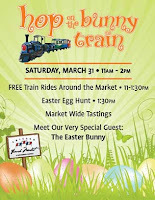 Bring the family and Hop the Bunny Train to take in the sights of the market. After the trip, watch the kids scurry around during the annual Easter Egg Hunt at 1:30 pm. Throughout the day of fun, participants will get the chance to meet a very special guest: The Easter Bunny! The Chicago French Market also will be offering market-wide tastings during the day. The train departs at 11 am. So come out for a family day of Easter fun! Chicago French Market vendor Delightful Pastries is offering a special Easter menu for your holiday gatherings. Choose from a selection of sweet and savory dishes including Lamb Cakes with buttercream or dusted with powder sugar, Bunny Rabbits, Cupcake baskets, Mocha Chocolate Bundt Cake, Rum and Raisin Yeast Babka, Italian Ricotta Cheesecake, Rhubarb Strawberry pie, Lamb & Spinach Pie, Mushroom, Onion, Leek and Swiss cheese Quiche, Asparagus, Ham & Swiss Cheese Quiche and Salmon en Croute. Call ahead for all orders! All orders must be placed by April 2, 2012. Elate (111 W. Huron St., Chicago, IL 60654; 312-202-9900) serves a delicious brunch menu Saturday and Sunday from 10:30 a.m. to 2:30 p.m. for Easter. They also will be adding an extra optional cheese and dessert buffet for an extra $12 per person. Elate’s a la carte brunch menu includes classics like Build Your Own Omelette ($13.00) and a Breakfast Burrito ($13.00) with twists on the classics, like their Banana Custard French Toast ($12.00), Breakfast Pizza ($13.00) and Vegetarian Black Bean Burger ($11.00). Elate also features an extensive Juice Bar during brunch with familiar favorites like orange juice, grapefruit juice and lemonade ($4.00) and some more unique options, like the Asian Rabbit, a mix of carrot juice and ginger ($7.00), the Sunrise, a combination of pineapple, strawberry and lime juice ($9.00), and the Chicago Cleaner with apple, beet and lemon ($7.00). For brunch, Elate also offers unique drinks from the bar like the Cranberry-Pear Bellini ($9.00) or a variety of signature coffee drinks in a footed mug. For an additional $20.00, Elate also will provide bottomless mimosas with the purchase of an entrée. Fleming’s Prime Steakhouse and Wine Bar (25 E. Ohio St., Chicago, IL 60611; 312-329-9463 and 960 Milwaukee Ave., Lincolnshire, IL 60069; 847-793-0333) has special brunch hours and specials for Easter, April 8, Mother’s Day, May 13, and Father’s Day, June 17. Fleming’s will serve brunch from 11:30 a.m. to 3 p.m., and feature three delicious courses for only $34.95 and $12.95 for children’s brunch excluding tax and gratuity. For Easter, Fleming’s also offers their Blood Orange Fizz Cocktail, a delightful mix of Solerno Blood Orange Liqueur, Stoli Vodka, fresh lemon juice and a splash of club soda for $6.95. To make reservations for your favorite spring brunch holiday, call your preferred Fleming’s location or make reservations online at www.flemingssteakhouse.com. Several Francesca’s restaurants also have recently introduced brunch menus. Brunch menu is served 10 am - 3pm. Mia Francesca (3311 N. Clark St., Chicago, IL 60657; 773-281-3310), the flagship restaurant of the Francesca’s restaurant group, features a brunch menu including Italian breakfast favorites like Baked Uovo Florentina, soft baked egg, fontina cheese and creamed spinach on ciabatta toast and white truffle oil ($9.99) or Frittata al Salsiccie, a fresh sage omelette with parmigiano regiano ($9.99). For those with a sweet tooth, Mia Francesca also offers delicious Pancakes al Ricotta, mocha ricotta pancakes with cinnamon whipped cream drizzled with honey ($8.99) or French Toast and Jam, French toast with vanilla bean butter, Texas toast, red wine grape jam, mascarpone and almonds ($8.99). Diners also have the option to build their own omelette for $12.99. Mia Francesca also has superb brunch cocktails like the Good Morning Sunrise with apricot nectar, the Sea Breeze Mimosa with cranberry and pink grapefruit or the Zing Zang Bloody Mary, each for $5.00. Francesca’s Bryn Mawr (1039 W. Bryn Mawr Ave., Chicago, IL 60660; 773-506-9261) is now serving brunch this month. Their brunch menu also features many of the same Italian classics, like the $5.00 Mimosa, with a few items unique to Francesca’s Bryn Mawr. Most notably Sweet Pancakes (blueberry and ricotta pancakes with blueberry-lemon compote) and Savory Pancakes (polenta and bacon on sweet corn pancakes with maple butter), each for $9.00. Francesca’s Forno (1576 N. Milwaukee Ave., Chicago, IL 60622; 773-770-0184) is offering their unique take on brunch as well. Francesca’s Forno offers impressive brunch cocktails like the Forno Bloody Mary (vodka, spicy tomato juice and a shot of beer), the St. Germaine Cocktail (St. Germain and Prosecco) and the Salty Dog, made with vodka, fresh squeezed grapefruit juice and served in a glass with a salted rim, each for $6.00. The food options at Francesca’s Forno during brunch hours are just as delicious and impressive. From simple Frutta e Granola, Milk & Honey Café granola with vanilla yogurt and fresh berries ($7.00), to decadent Bourbon-Soaked French Toast, challah with bourbon vanilla bean batter, maple crème fraiche and candied pecans ($9.00), or a classic Breakfast Monte Cristo, made with an English muffin, fontina, crispy pancetta and a fried egg with spicy tomato jam and hash browns ($10.00), there is an option for every palate at Francesca’s Forno for brunch. Francesca’s Tavola (208 S. Arlington Heights Road, Chicago, IL 847-394-3950) is offering a special Easter Bunny Brunch Menu for families to come and enjoy along with a visit from the Easter Bunny! Kids will enjoy their choice of Buttermilk or Chocolate Pancakes or French Toast, served with a piece of sausage or bacon, or the Egg Breakfast, served with a piece of toast and a piece of sausage or bacon. All kid’s meals come with regular milk, chocolate milk or orange juice. All kid’s meals are $6.95. Adult brunch options include Bistecca con Vovo, 10 oz. Ribeye, served with two eggs, any style with roasted potatoes and toast ($16.99), and Panettone, Italian French toast with mixed berries, sweet mascarpone cheese and a drizzle of maple syrup, served with a choice of bacon or sausage ($10.99). For more Francesca's brunch locations go to www.miafrancesca's.com. Maxwell’s at the Club (200 N. Kingsbury St., Chicago, IL 60610; 312-527-5800) has an Easter brunch perfect for entertaining family, friends and guests available 10 a.m. to 3 p.m. Sunday, April 8. 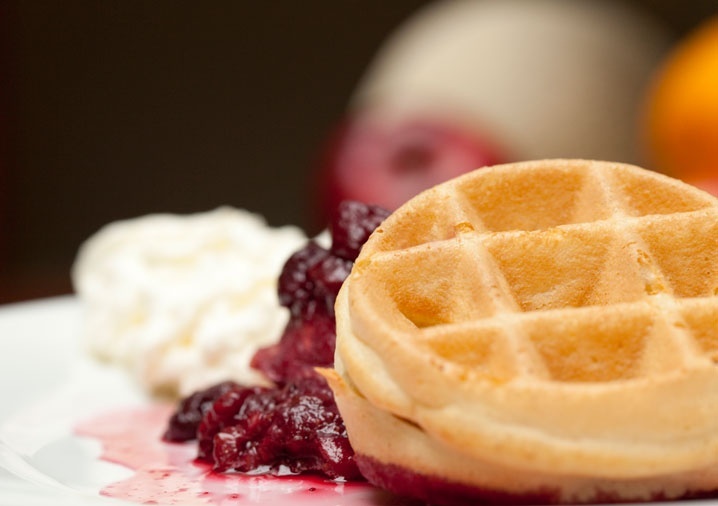 Brunch at Maxwell’s is $45.00 for adults and $15.00 for children 10 and under. As a special treat for the family, Easter Bunny will make a special appearance from 11 a.m. to 1 p.m.
Maxwell’s Easter brunch has something for everyone. For those who prefer a sweet Sunday brunch, the Bananas Foster French Toast, fluffy Waffles from the waffle bar or Sour Cream Pancakes are delicious sweet brunch treats. For those who say brunch is not complete without eggs, Maxwell’s also offer an Omelette Bar, Eggs Benedict or Eggs Florentine. 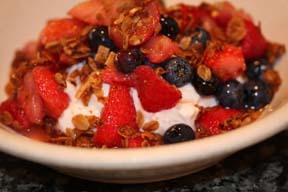 The health-conscious in your brunch group will appreciate Maxwell’s wide variety of Seasonal Fresh Fruit and Granola and Yogurt. Maxwell’s also features an impressive Roast Beef Prime Rib Carving Station for brunch, as well as Shrimp Cocktail and Chilled Roasted and Poached Salmon. Go here for a complete Easter brunch menu. No matter what taste buds enjoy, they are sure to find something to enjoy at Maxwell’s. For reservations, call (312) 527-5800, extension 301, or schedule at Maxwell’s website, using the Book a Table feature on the left. In the suburbs, your best bet for brunch is Prairie Grass Cafe (601 Skokie Blvd., Northbrook, IL 60062; 847-205-4433), with Chef Sarah Stegner and Chef George Bumbaris cooking for you! Prairie Grass Café’s Easter brunch menu is a lovely combination of everything we have come to love about brunch. Every guest starts their meal with their signature “PGC Benedict” a poached egg with spinach and roasted tomato hollandaise. They are then able to take advantage of Prairie Grass’s amazing brunch buffet, which includes a made to order omelet station, hot waffles, Prairie Grass’s signature Moussaka (layers of eggplant, potato and braised lamb topped with Bechamel sauce), a variety of salads and fresh baked goods from French baguettes to croissants and Danishes, among other choices. To end their meal, diners will also have the opportunity to partake in a dessert buffet, including Prairie Grass’s famous Mom’s Homemade Banana Cream Pie, Cherry Crumble, Double Chocolate Cupcakes, a crepe station and a variety of fresh fruit. The variety of brunch options at Prairie Grass Cafe is sure to please every guest. Prairie Grass’s Easter brunch hours are 10 a.m. to 2 p.m. Sunday, April 8. Brunch is $42 for adults and $15 for children 10 and under. Chef Massimiliano Campagnini has created specialty menu for Easter Dinner for classic Italian eatery Volare (201 East Grand Avenue, 312-410-9900). Located in Chicago’s River North neighborhood Volare will serve Easter dinner 12 pm -10 pm Sunday April 8. The menu will include Crema d’Asparagi con crema fresca, an asparagus soup served with crème fraich ($4.00). Pappardelle al Ragu d’agnello con ricotta affumicata, a house made Pappardelle pasta sauteed with Lamb Ragu and vegetables served with Lamb jus and smoked Ricotta ($21.00). Trancio di Branzino su Fagiolini saltati in salsa Limone e Mandorle, a pan seared Sea bass filet served over sautéed green beans in a Lemon sauce with toasted Almonds ($30.00). Costolette d’Agnello impanate al Parmiggiano su insalatina con olio d’oliva tiepido al Rosmarino, a pan seared Parmesan crusted Lamb chop served over a micro green salad with a warm Rosemary flavored Extra Virgin Olive Oil for ($30.00) and for dessert Semifreddo all’Amaretto con Zabaglione, a semi-frozen Amaretto flavor parfait served with Sabayon ($6. 00). Classic Italian cuisine at its best! Westfield Old Orchard (Skokie Blvd & Old Orchard Center, 847-673-6800) is providing Easter fun for North Shore and surrounding area families. April 7 marks Westfield Old Orchard’s annual Easter Egg Hunt! You won’t want to miss this opportunity. Kids will hunt for the Golden Eggs filled with prizes from Westfield retailers. Participating kids can also enjoy a day of face painting and take home a piece of balloon art. New York Life will be partnering with Westfield by providing free Child ID’s (name, picture and finger print) for parents to take home. Registration for this free Easter event starts 10:30 am April 7 and is open to the first 150 families who arrive. Kids must be between the ages of 2-5 years old to participate. The festivities will commence 11:30 am in the Serpent Play area. 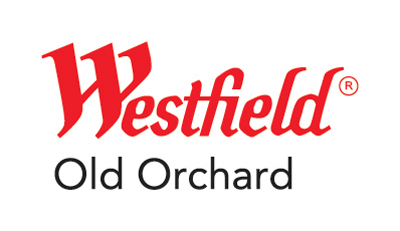 For more information, contact the Westfield Old Orchard Concierge at 847-673-6800.